This master grocery list is great for shopping with kids. 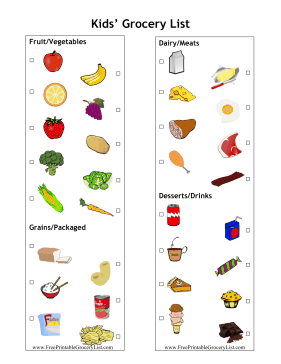 Each picture has a check mark box so children can help pick out groceries. It includes sections for meat, produce, dairy and grains.